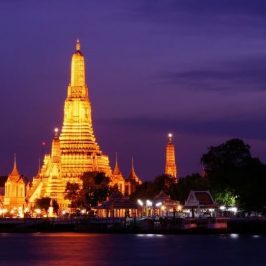 Bangkok travel guide for Indians will cover everything from Visa information, Airport guide, Shopping, Where to stay, transport within city, Things to do, What to eat etc. everything you need to know about Bangkok. Welcome to Bangkok, the capital of Thailand. The main language spoken here is Thai, and the official currency used is Thai Baht. 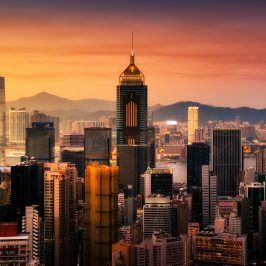 This hot, humid, bustling city never sleeps and is packed with tourist from all over the world. It is famous for its vibrant street life, rich history, cuisine and stylish lifestyle. 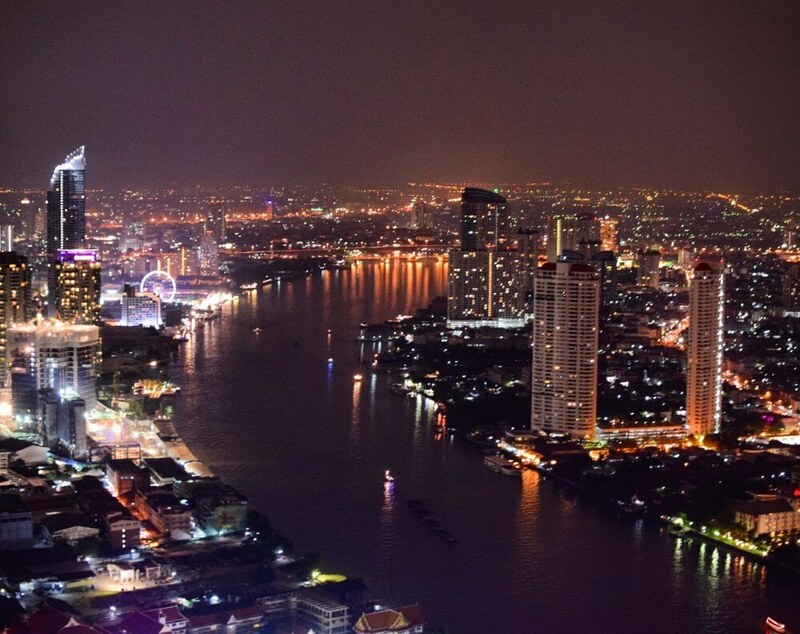 Bangkok has become the most visited city around the world. It is also famous among Indian tourist. 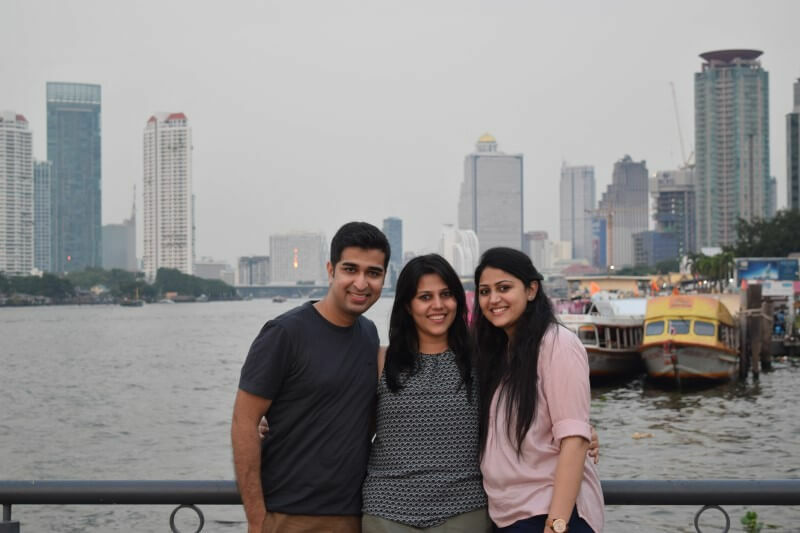 Therefore, this is our Bangkok travel guide for Indian friends, so that they can know more about this city. 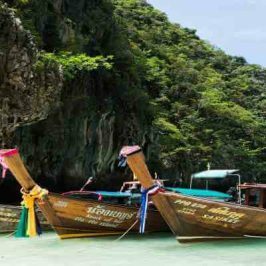 For the Citizens of India who want to visit Thailand for a period not exceeding 15 days can avail Visa on Arrival from designated checkpoints at the airport Thailand. Indians tourist need to carry below listed documents with them. A valid passport with at least 2 blank pages. The passport should be valid for at least 6 months following your departure date. Filled Visa on arrival application form with recent photo (4cm x 6cm). Return ticket within 15 days. Visa on Arrival fee for the application is THB 2,000. (Thai Currency only). Proof of accommodation (hotel booking/ invitation letter). Have to carry at least THB 10,000 per person and THB 20,000 per family. 1. Your travel Plans (purpose of visit). After this you are done with the process and you will get your passport with Visa stamped. Tourist Visa (Single entry) is INR 2,500 for 3 Months. Permitted to stay for a period not exceeding 60 Days. Tourist visa (Multiple entry) is INR 10,000 for 6 Months. Permitted to stay for a period not exceeding 60 Days in each entry. Two recent photographs of the applicant (3.5 x 4.5 cm) against white background. 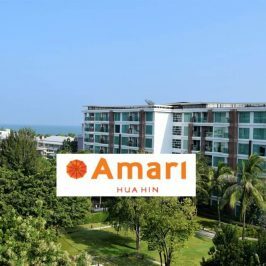 Proof of hotel/accommodation reservation in Thailand. Reserved under applicant’s name covering total number of days wished to say in Thailand. If intend to stay with relatives or friends must provide invitation letter along with their ID/passport photocopy. In case they are not Thai, must provide their working records in Thailand, e.g. work permit, letter from company they are working with valid at least six months. Evidence of adequate finance. Original receipt of endorsement of $700/person or Original Bank Statement from last month with minimum balance equally as $700/person with bank stamp and signature or Credit Card issued by a bank or financial institution along credit card statement from last month. Collect all the required/ Mandatory documents listed above and visit the VFS office. And submit all the documents with visa fee and service charge. Bangkok enjoys a tropical climate which means it is warm year around and can also be humid and rainy. It is almost a year-round destination, which means no matter what season you arrive, you’ll see lots of lots tourist everywhere. 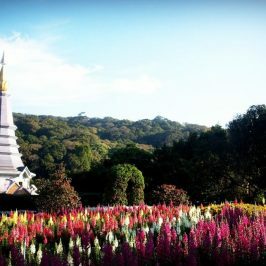 • November – February (Perfect weather): These is the “peak season” for tourist to visit Bangkok. As the temperature remains around 25 degrees Celsius. This is the perfect time to explore Bangkok on foot. For this time you should do all your booking in advance as it will be costly during this season. • March – June (Hot): These are the hottest months of Bangkok. As the city has a lot of activities to do, it welcomes tourist year around. 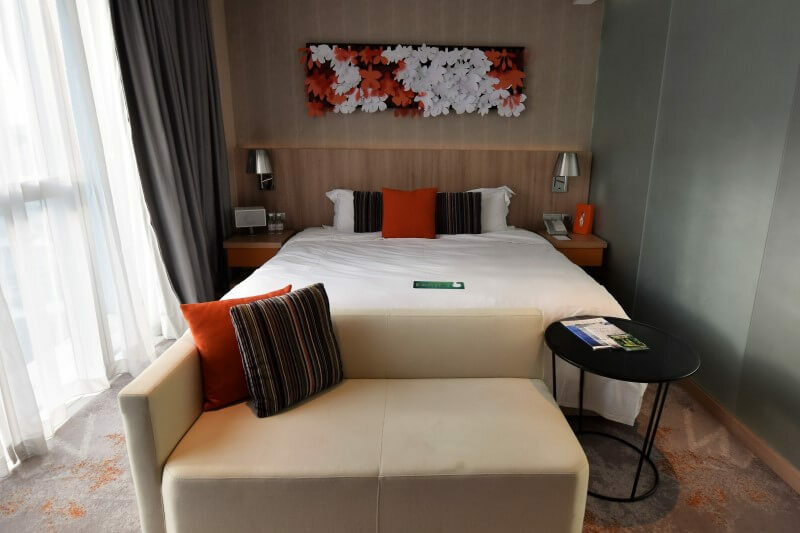 During these seasons the most popular things to do are boat cruise, shopping malls, pool parties, roof top bars, aquariums and other indoor activities. • June – October (Rainy): It is comparatively “low tourist season” for Bangkok. Due to heavy and unpredictable rainfall this is the less crowded season. But this is a great time to fetch some great deals on hotels and excursions. Bangkok really gets cheaper during these months. Note: One of the biggest festivals of the year is Songkran (Thai New Year), which takes place in mid-April, most the places are closed as Thai people go on vacation. The Christmas and the New Year holidays see a big increase in visitors to the city. Their are many activities which can booked among these. You can book these attractions by clicking on them which will take you to vendor website. It is a huge underground aquarium containing huge variety of aquatic animals. They also features wonderful shows with awesome light and sound technology which is lovely to watch. It is an open zoo and leisure park. There are lots of entertainment for every age group. You can enjoy without disturbing animals and birds in their natural habitat from your car or coach of tour guide. Safari world is perfectly planned and divided into marina park, zoo. You will also enjoy live shows of dolphins, birds & seal here. It opens in evening. Therefore it is the perfect evening in open sky. It is on the bank of river Chao Phraya. It is packed with options for shopping, fine dining and local street food. The best part is to have a bird eye view of city from the giant wheel. Recommended Transport: BTS and Shuttle Boat | Get off at Saphan Taksin Station and board Shuttle Boat of Asiatique which takes around 15 min. You can take photographs with wax statues of your favorite celebrities. They showcase exhibition of international and Thai celebrities. Note: These places have dress codes so dress to impress – keeping in mind no sleeveless shirts for men, no sandals, no flip flop and no shorts, and torn looking jeans might get you refused entry as well. 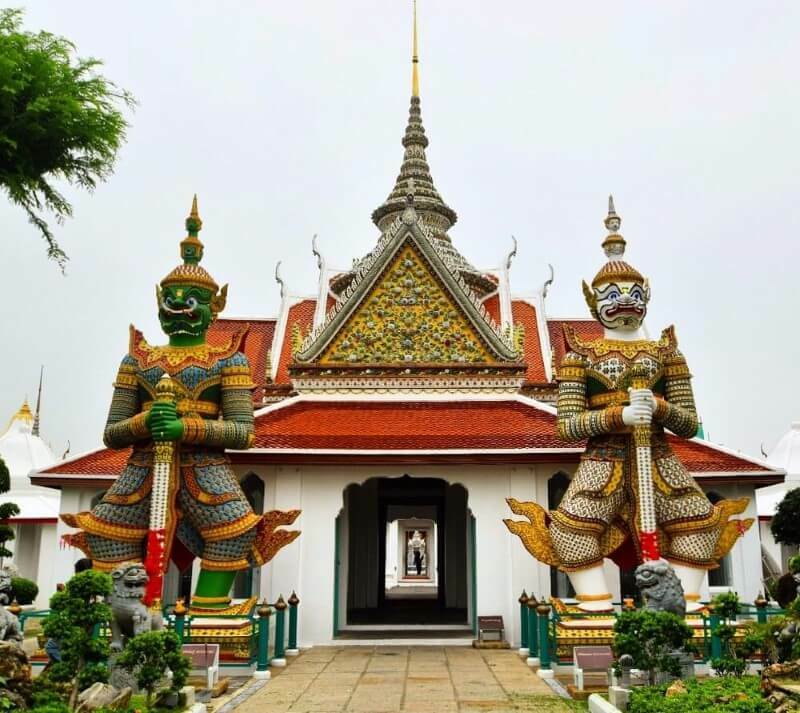 Bangkok has rich history, there for many temples. The highlight of the tour will be exploring The Grand Palace, visit Wat Phra Kaew “the temple of Emerald Buddha” and Wat Pho home to world’s famous reclining Buddha. Opening hours: Boarding time is 19.00 hrs – 19.20 hrs. Daily. You can also book River Star Princess Cruise . Indulge yourself in relaxing massage or spa. The aroma is very beautiful. You can either enroll for couple massage or separate. It is a world class performance to feature the best of the traditional old Thailand and its beauty. The theater, performance and especially the costumes are spectacular. You will enjoy the culture and tradition with dance and music which is outstanding. Definitely you will get into the flow. If you traveling with kids than you can also visit these attraction. Click them to book at discounted prices. Note: You can also find details about more of these in our Bangkok Family Friendly activity guide. Bangkok is filled with so many Indian restaurants. Therefore it is a challenge to find the best of them. So, here is our list of best Indian Restaurant divided into mid-range Veg/ Non-veg restaurants and fine dining restaurants. It can be challenging being a vegetarian in meat-loving Bangkok. Even more so for vegans. Below is the list of vegetarian restaurant mostly recommend for pure vegetarian Indian Families/Tourists. The food here is extremely delicious. Perfect south Indian restaurant. The restaurant is not fancy at all but they serve the best south Indian in Bangkok. They serves both North and South Indian vegetarian food. They also have vegan options, which are clearly marked on the menu. The taste is authentic. It provides very relaxed atmosphere. A typical South Indian food which servers dosa, idli, uttapam. They also have delicious north Indian cuisine and fixed thali which comprise rice, 2 large pieces of roti, 3 kinds of veggie curries, pickle, curd. Relaxed atmosphere. They serves traditional Indian food. Cooking is based on the Ayurvedic principle. Their Beverages include Ayurvedic tea, fresh juices, saffron & almond milkshake. They have little organic garden at the back of restaurant. If you are looking for some light snacks, this is perfect place. There rolls and sandwiches are really good. They offers variety of Indian cuisine from various regions of India like Gujarati, Jain South, North, and Punjabi. It is a Halal restaurant. They are specializes in Pakistani barbecue and curry dishes. Pre authentic taste. They serve tandoor dishes and appetizers that is really the restaurant’s strong point. Do try their barra kebab, it is a highlight, delicious tender lamb that’s packed with an aromatic blend of spices. Indus Bangkok is perfect for a candlelight dinner. This Indian restaurant serves refined Mughlai (Royal) cuisine. Typical Indian food. Known for their customized species and famous for butter chicken and Naan bread. Bawarchi´s fare is derivative of traditional Mughals cuisine focusing around the Tandoor clay oven, where breads, fish, meat and poultry are all cooked in the authentic North West Indian style. This is the list of the best Fine Dining Indian restaurants in Bangkok. Our selection of restaurants are excellent on taste, style and service. The spices they use are fresh and dishes are without MSG. Most of these fine dining restaurants serve Mughlai Royal Cuisine. And on top some of these restaurant in our list have surprise elements to feature, when you visit them. Each of them has Vegetarian and Non- vegetarian both on their menu. These restaurants have set menus and Ala cart is also available. Indian specialty restaurant that brings authentic and delectable Kababs from all over India to one table. The Great Kabab Factory Bangkok have 450 mouthwatering varieties of kababs. Here is our detailed review of The Great Kabab Factory . Address: 5th floor of Fraser Suites in Sukhumvit Soi 11, Bangkok. Don’t expect to see much curries here because their specialty lies in the use of classic tandoors along with the mix of great Indian spiced unique flavored cocktails. Charcoal Bangkok has emphasis on tandoors and grills, Kebabs are the kings. Here is our detailed review of Charcoal Tandoor Grill and Mixology . 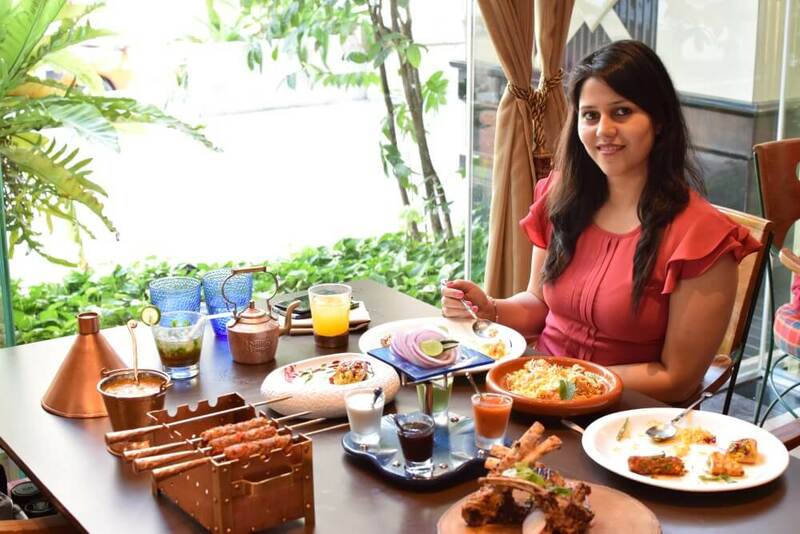 The menu of Punjab Grill restaurant has many varieties starting with flavorsome beverages, vegetarian and non-vegetarian appetizers, delicious curries of main course and innovative desserts. Here is our detailed review of Punjab Grill Restaurant. Address:(Roof-top of the Rembrandt Hotel) 19 Sukhumvit Soi 18, Bangkok. The royal dishes are expertly prepared. Their curries are outstanding and impeccable service. Each curry at Rang Mahal has a distinct flavor. The menu features all your classic Indian dishes, with highlights including the wonderfully fragrant Mughlai royal cuisine. 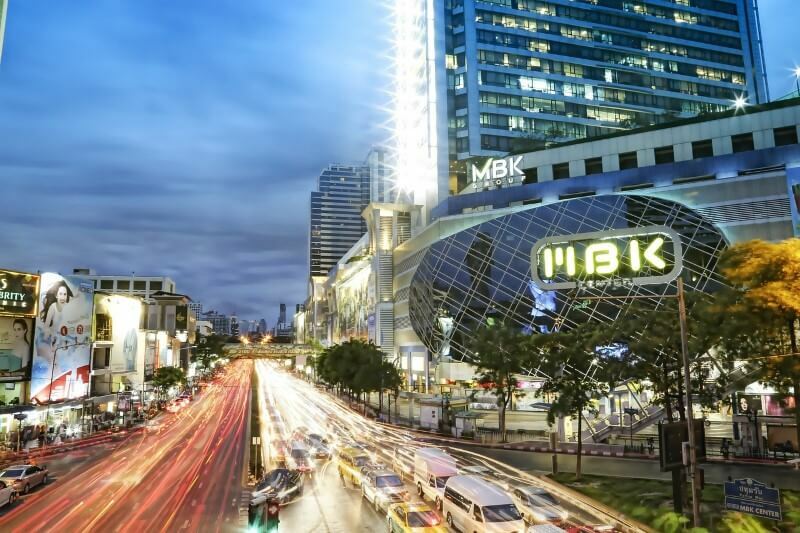 When it comes to shopping, Bangkok is really hard to beat. There is something for everyone. The malls and markets varies from budget shopping to luxurious brands. If you are looking for high brands and designer store, head towards below mentioned shopping malls. They have all top fashion clothing stores, stylish hair salons, and luxurious beauty brands. How to get there: It is connected with Siam BTS station. How to get there: It is connected with Chidlom BTS station. How to get there: It is connected with Phrom Phong BTS station. It is at Sukhumvit Soi 24. 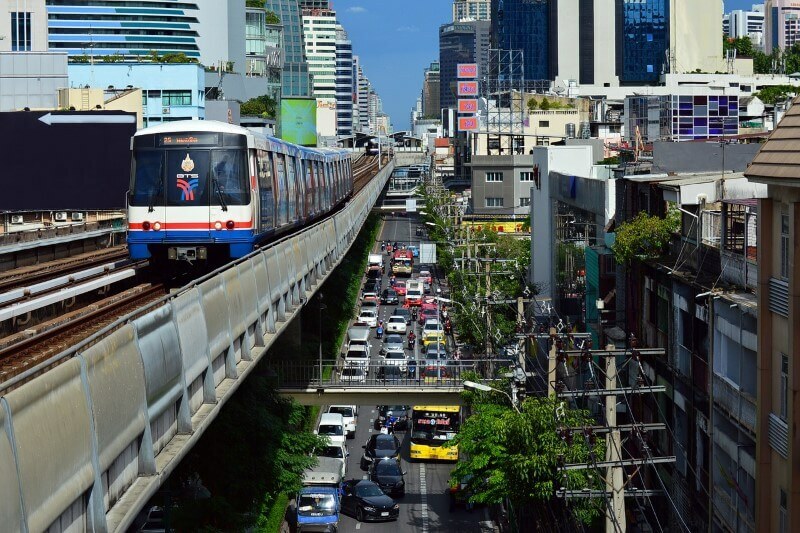 How to get there: It is connected with Asok BTS Station and Sukhumvit MRT station. It is at Sukhumvit 19. For budget shopping experience, where you will find amazing shops dedicated to clothes, handbags, electronics and also have good restaurant. Both the malls are famous for whole sale shopping. To get good price you might have to bargain hard. How to get there: It is connected with National Stadium BTS station. And it is also a short walk from Siam. How to get there: There is no direct skytrain connected with Platinum Fashion Mall. It is 15 min walk from Chidlom BTS station. Mall is in Pratunam area, you can get there by taxi. How to get there: Get down at Mo-Chit BTS station. The market is just 2 minutes’ walk from station. Once you settle in your hotel or apartment, and you are ready to explore. There are many different ways to navigate the city. The city is wisely connected with public transport. But picking the best mode of transportation depends on the weather too, as Bangkok is quite HOT during day. We commend air-conditioned transport. This is the quickest way to commute in Bangkok. It is easy to get tickets at the station from ticket vending machine or you can make a rabbit card (just like metro cards). You can also get day tickets for unlimited travel on that day. Mostly all the famous shopping malls are connected with BTS stations. Taxi in Bangkok, our personal favorite as they are cheap, safe and air-conditioned. Always remember to ask the driver to switch ON meter before the journey starts (Do check! meter starts with 35 baht). It is are easily available on the streets. There’s never a shortage of taxis in a city. Taxi which has glowing red IN sign on their front mirror are vacant and available. Tuk tuks are also available in the city center. They are fancy, colorful but are expensive than taxis. For experience try out a tuk-tuk ride at least once. It is one of the fastest ways to get around town when you’re a solo traveler especially during rush hours. Motorbike taxi drivers are easily recognized, they wear numbered orange vests. Fares will start from 10 baht for short journeys, and varies depending on how far you go. They are easily available on main roads, small street, office area almost everywhere. Buses in Bangkok provide an incredibly cheap way to travel from one side of the city to another. For first timers it will be little tough because mostly it is written on Thai on buses. Better remember the number. 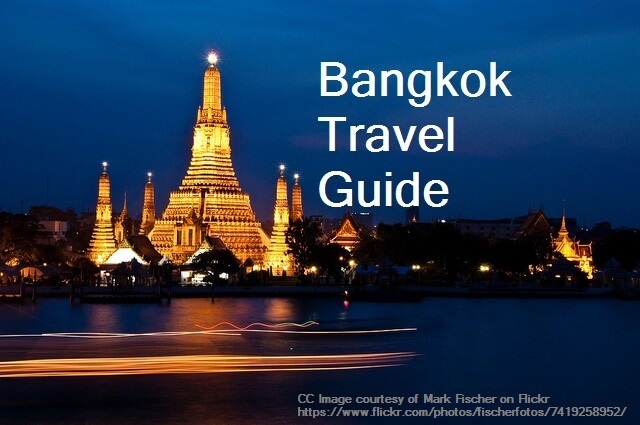 This is our Bangkok Travel Guide which includes everything you should know before you plan your Bangkok trip. If anything you want to ask feel free to comment or mail us. We are happy to help. Hope you liked our Bangkok travel guide. To see more of our travel pictures follow us on Instagram. Need a guide in hindi…or a person who already visited bangkok..any one have knowladge of there..
Silom one Indian Hindu Temple is very famous Mariamman Temple, most of the local Thai people pray GOD in that Temple. That area fully in the atmosphere of we are in India. Very worth to visit. Metro Connectivity is there. From Ashok, take Metro or Irvin Circle take a Metro. 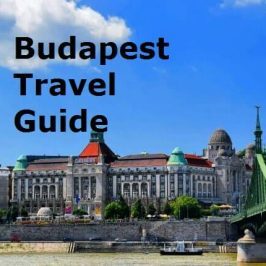 Very detailed & well describe ,helpfull.Great post showcasing & such a great travel bolg. Well defined nd explicit details. Real help for Indians planning trip to bangkok. The article is nothing but a deliberate attempt to push the Indian Travellers towards Bangkok. The step by step guidance is well explained. Such an elaborated description. Thank you guys for this post. This is really a help for Indian tourist. Nice..
Bingo… Thailand is a beautiful place to visit.